Is sabotaging the rainbow revolution, the solution? 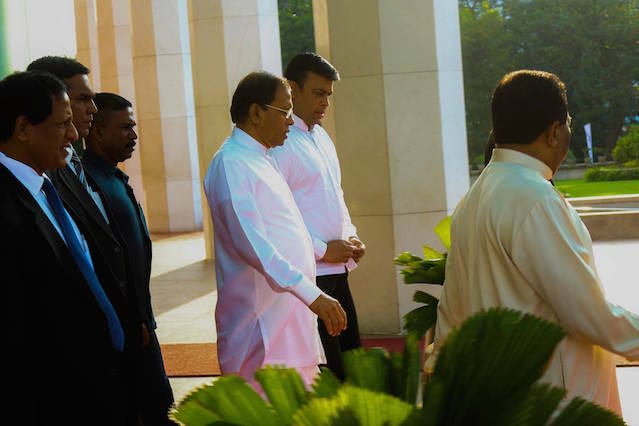 President and Prime Minster and the nation celebrated the second anniversary of the establishment of the change that was popularly known as Yahapalana regime on January 8th.. It is now in the cross roads with disappointments and mounting criticisms. 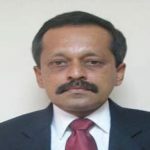 The once vocal supporters and the opponents (obviously with vested interests) allege; Lack of leadership and direction, Mixed and confusing signals emanating from the members of the unity government, Lack or stalled process of action against corruption, Corrupt entities being protected by the Cabinet ministers or appointed to important positions and more importantly alleged corrupt dealings by the members of the Yahapalana government. The above dissatisfaction both by the genuine well wishers of a democratic system of governance and the pseudo chest beaters needs serious attention. The governance of the nation is a prerogative of the elected government and they remain the political masters during the life of the Parliament. Hence, any analysis needs to be centered to analyze who our current ruling political masters. The answer to this was given recently by actor turned politician Mr Ranjan Ramanayake and in his words, quote “If they act like President Duterte they will have to push down at least 175 members of Parliament out of the total 225 from flying helicopters”. For the purpose of this article pushing from the helicopter has no relevance but the numbers mentioned needs a closer look. It is obvious it was not arrived from any empirical data analysis but from the gut judgment from an honorable politician. Hence, such data can be taken as a justifiable bench mark or thumb rule. If we drop (not from the helicopter) the 175, we are left with 50 honorable politicians. Out of this; JVP can claim their entire strength of 6, TNA can claim a vast majority, say 14 and JO too have some of the likes of Dinesh G, GL and Vasudeva likes 5? This makes a total of 25. This gives only 25 honorable types to the team – the political authority currently steering the Yahapalana government. This is the greatest challenge the MS – RW leadership have to currently work with. For the idealist mind that poses the question; why should those who shouted on the political stage have to work with the corrupt balance, the answer is simple – why we voters voted in such not so honorable people. But it is not the sole cause for public to be blamed. It was due the political system that we inherited from the 1977 UNP government and the subsequent 1978 constitution. The preferential voting system, allowed the rot to set in among our political scribes. Electoral system was abolished leading a MP not becoming accountable to his electorate. This led to mafia politics, which became the theme to define the landscape who will be elected and be our political masters. The responsibility of this progressive deterioration, both the major parties are guilty of; UNP for the creation of the said constitution and the SLFP enjoying the fruits. Hence, the first dilemma to revert back and bring in a new political culture is to bring in a new constitution that abolishes the preferential voting system and also much needed other reforms to re establish democratic governance in the idles of ‘Yahapalanaya’. MS and RW government is currently on the task of making a constitution with a electoral based entry into the parliament. The next hurdle is the approval in parliament that requires 150 MP’s out which only has 25 under the category to be termed as honorable category in its ranks. It is obvious MS and RW government has to accommodate persons from Ranjan Ramanayake’s 175 type. This is the stark reality the advocates of good governance need to be aware of. They should educate the voter that achieving the desired state of governance is not like pressing switches for the globes to illuminate; the 40yrs of deterioration of our political system has become similar to the state when connecting wire is totally damaged. Hence, the path to eventual state of good governance needs to be rewired. Hope the new constitution reintroduces the method of electing leaders based on an electoral basis. It also should ensure that defeated candidates be not permitted to enter parliament from the few slots in the national list during the life of the parliament. Further, restrictions too be enshrined that defeated candidates cannot get any positions in state sector including diplomatic appointments through the life of the said parliament (expect for advertised positions where selection is purely on merit). One and only way to achieve this is the government has to get the nod of 150 from the current Parliament. However, the dilemma of getting 2/3rd majority should not immune the ‘Yahapalana’ regime to look the other side of alleged corruption in the last two years. May expeditious inquiry be initiated on alleged wrongdoings; Bond Issue, Coal Tender , Awarding contract of bonded warehouses etc ,etc; be investigated and public be made aware of the outcome. This will strengthen the writ of the government and whilst shutting the mouths of pseudo chest beaters of Comrade Weerawansa likes, who make a hue and cry in an attempt to cover their sins to escape prosecution. If and only when the method of electing MP is centered from an electorate, the political parties will be able to drop nominating politicians of mafia types for elections and enable them to field a list of quality candidates. This will enable public to start electing suitable persons looking at their individual credentials and not the corrupt hiding behind the flag of the party. This will ensure continued sustenance of credible governance in the future. It is time the good governance advocates educate certain ground realities to the disillusioned rank and file that it is going to be relatively a long road for recovery. Dumping the ’Bahubootha’ constitution of 1978 is the first solid step towards the eventual dream of ‘Yahapalanaya’. The response to the opening question posed; any attempt to sabotage the rainbow revolution at this stage, will lead the nation to the path of anarchy and will only assist the devils to make merry. I thought “Yahapalanaya” means something do with Yaalpaanam.? building harbours and airports and economic zones. I really dont know what you think of lankens ? We can expect them to be civilized within 2 years when considering the manner former men ruled the country. Rajash, we can all beign aside, add our thoughts, but in a country every second is pro Anti-yahapalanaya than supporting good governance principles, what do you think can achieve easily. Nothing I would say ? Just for your own check, please talk to many as possible to get more information on commen sense. I did it myself during last visit paid to the country, by talking all I met with.. there had been school teachers, company directors, three wheeler drivers, shop keepers, Engineers, vets, medical docs etc.. so, my information collected from them should be good enough to draw my conclusions to say what average people focus there down. They are not at all into basic level good governance priciples so long each of the groups they represent are advantageous. Like for examples, teachers in general dont care what Good governance means so long their pay hikes are focused. Some even added me Southern way and the projects are real wonders to them, just becasue of that, they would ever be indebted to Mahinda Rule. And no matter any huges sums ranging to billions would have been abused by Rajapakshe family. Enginners and other men though respect good moves of the govt, they average dont care .. so long their own life WOULD NOT meet any problems. Most of the them dont want to be free from corrptions and abuses. For me even stealing a needle is a big thing when it goes with corruptions and abuses, but most that are known to me, in SL, dont care, if halfsheets are being stolen by them from the office. But there were few that spoke the truth…. about the focus of elemination of abusive culture.. they from teh begining on added, they want to see justice is served to all equally. They some of them, did not know what federalism means, but they had their own theories.. many even teachers thought it is the separation of the country. So, my thinking is .. more of awarness programmes can feed masses with facts can help the nation. Over the years, Derana, Hiru and the like senders have fed them the masses with all biased views. Why they started calling King was started since the kind of senders together with Hddas SLBC started calling him so. It is very easy to manipulate lankens in general. that is what I go tot know Average regardless of education lack the basics when it goes with politics of the country. They dont care about politics. Please let me know where I could find the number and types of bombs dropped by the srilankan airforce in north and east during the war. I could not see in the forces’ website. Don’t they keep a record or not to be revealed to the public? Do you think state is ready to self incriminate itself? There may be more govts just like this. but, it is the same corrupt people who wants to use the system for their benefit. So, firsr chase out this group. The best thing is prosecute them and acquire most they have. We need a dictator for that. The rule of law will not work. In answer to the question of bombs dropped in the north and east, although irrelevant to the topic. I must remind (MR) that bombs are dropped where there is war and that is justifiable, in this case against the barbaric LTTE who murdered their own mothers fathers and children. it is more appropriate if you ask the TNA for the record on types of bombs used to destroy civilians. when anyone decides to oppose a benevolent, democratic, impartial dharmishta state, we all know how many bombs the ruthless and cruel terrorists used to kill the civilians but not how many the poor benign impartial dharmista government dropped. There were several strong evidence for the above; the most recent comes from Finance Minister and Justice Minister. Justice Minister Wijedasa Rajapaksa says that there is no such proposal approved by the Cabinet and even if there is one later he would vehemently oppose it. What is this crap? Can’t they discuss these things, come to a conclusion, and save media institutions’ and people’s money, resources, and time. This is becoming now more than a joke. We expected the Y-government to act responsibly but those expectations are just dreams. They are playing with people’s lives; which investor will come to SL under these circumstances? But we had a dictator since 2005 to Jan:2015; Even that did not work! Unless you are thinking of a non-corrupt Dictator. Even such “benevolent” Dharmista dictatorship didn’t work either. You deserve a Nobel prize or at least a honorary doctorate degree ,like Mahinda mama got one , for your excellent discovery.